​Colombo, the capital city, is serviced by a number of international airlines and an extensive train, bus and private car network make life easy on the ground. English is widely spoken and amenities are good. 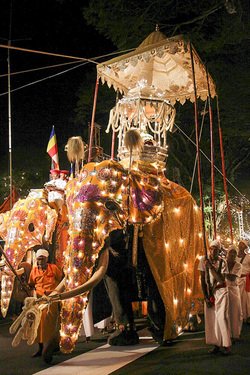 ​Sri Lanka is a great destination to visit year round. Although there are two distinct monsoon seasons which hit the east coast and west coast respectively, when it does rain, it’s unusual for the rain to last all day. Generally speaking, upland areas of Sri Lanka are cooler and more temperate, with a yearly average around 20ºC, while coastal areas are warmer with average temperatures around 27ºC. ​We visited Sri Lanka in 2003 with our son aged 20 months and again in 2011 when our children were aged 7 and 10. ​Click on the sample itinerary below to view a suggested self guided tour for this destination. This is based on our own travels but can be amended to suit differing ages, group sizes and duration. Accurate travel times, accommodation and guide details will be provided once your personalised itinerary is confirmed.